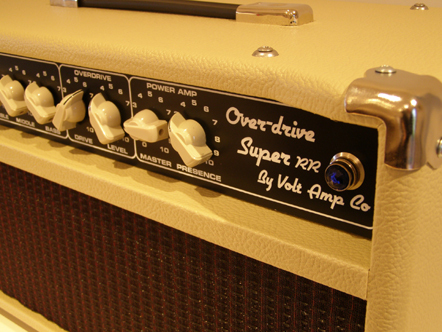 The Overdrive Super RR ® is more musical instrument than amplifier. It has the sweetest ‘bell-like' clean tones, and a harmonically rich, expressive and dynamic overdrive. It will not interfere with your guitar's natural tone in any way, but you will definitely know it is there and be mighty glad that it is. 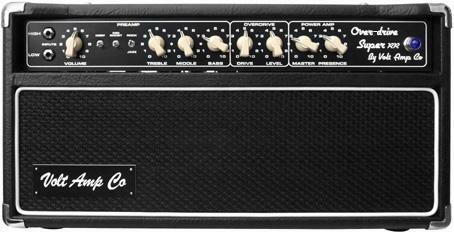 If you are a player that appreciates the king sized tones of Larry Carlton and Robben Ford then we have the amp for you. To get your taste buds going listen to the sound clips before you go any further you will hear "The Tone" of a great amp. To listen to the clips online, you will need the Flash plugin. Alternatively, you can click the name of each guitar download the MP3. These are short solo clips but give a real idea of what the amp can do. For possibly the first time in the UK a British boutique amp builder has gone in search of the fabled “D” or ‘Dumble' sound. What started as a one-off custom amp request by Rob Rolph (guitarist) has become a mission to build a production model which holds true to the original's legendary tone, build quality and durability. Yet also incorporates the modern amp features most useful to the working guitarist that were not found in the original specifications. The Over-drive Super RR ® is available in 50watt or 100watt versions and in heads or 112, (1x12) combo models. Although, 2x12 extension cabinets can be built on request. Following many months of testing, you may be surprised to find, the standard speakers fitted are Celestion G12 K100 with which we've had great results. Of course custom requests are negotiable. You want a certain driver? Okay let's talk. There are many features with the ODV S-RR. There are a number of pre-amp tone shaping switches but unlike most “D” types there is no Bright switch, it proved unnecessary (Treble and Presence have got it covered). There is a Mid-Boost (footswitch able) and a Deep switch. The character of the amp and behaviour of the tone controls are all affected significantly by the Rock/Jazz switch. The Rock setting has more gain and bite (Ford-ish) and the Jazz has a sweeter smooth drive (Carlton-ish). The overdrive sound is produce by adding gain stages to this core tone, and therefore shares the same tone controls (and all boost options). Two controls are employed to control the overdrive section. The first is Gain, which affects how much signal is fed to the overdrive stages giving you that drive tone. The second is Level; this is used to balance your OD sound level to your clean level. 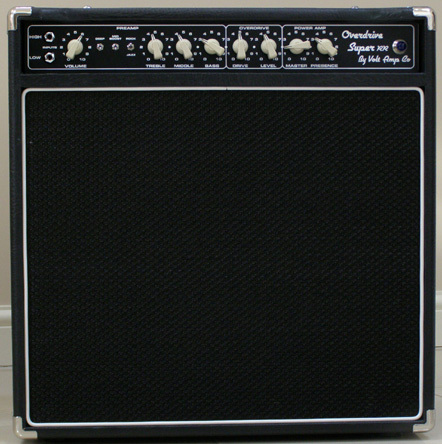 There are various stages of extra boost available from the amp which work in both clean and OD modes, as mentioned earlier there is a Mid-Boost which alters the mid/treble content for a more focused tone, there is also a Pre-Amp-Boost which bypasses the tone stack for an increase in gain. As an extra feature, the amount of Pre-Amp-Boost is variable via a discrete chassis pot near the V1 valve. The Master Volume affects both clean and OD sounds and sets the overall amp volume, and unlike many “D” type amps it is positioned post effects loop instead of pre. In some amps of this type it is the Effects Return that ultimately determines the amp's maximum volume, not here. Consequently with the ODS-RR, turning up the Master Volume during the gig, won't lead to clipping the front end of the effect (once the loop has been set up). Please take note that the amp is entirely hand wired using traditional methods employing eyelet boards, common star grounding and point-to-point wiring. Remember also that the audio signal path is' tubes all the way through', no op-amps, no IC's and definitely no digital ! All amps are given a 100 hour burn in period on factory valves, to stabilise new components, plus detect any early life component failure, then it's re-valved and rebiased ready for delivery. 15mm Birch ply cabinets with tough tolex covering and marine grade stainless steel screw fittings. Gold plated Neutrik jack sockets. High quality Tyco miniaturetoggle switches. Switchable chassis fitted DC fan to cool high temperature components and extend life. Full function foot switch included. Head: 21" x 10.5" x 11"
Incidentally , The Volt Over-drive Super RR is not just a precision amplifier; it is designed to be a musical instrument in its own right. If you are interested in the Over-drive Super RR (ODV S-RR), please contact us, by either Clicking Here or Telephoning us at 01785 812071. Demonstration available at our local studio by appointment. Note the web page will be updated with more info in a few days time. We are happy to customise your amp at no additional cost, provided we have the material in stock.